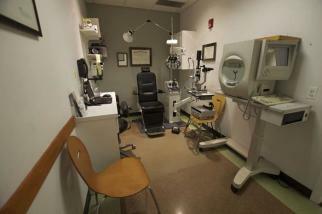 For eyeglasses, contacts, LASIK and a wide array of eye care services, come to Rosin Eyecare in East Dundee. 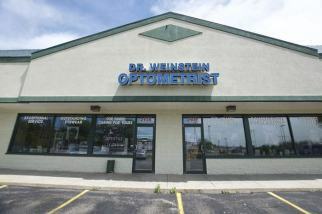 Since 1930, Rosin Eyecare has provided Chicago and its suburbs with a combination of professional expertise and genuine friendliness. About Dr. Shreya Patel, O.D. We are happy to have Dr. Shreya Patel as Rosin Eyecare’s East Dundee eye doctor. We pride our staff on their ability to care for patients and their needs. Besides being able to pick from over 900 frames, our staff is knowledgeable on the most up-to-date technology in every aspect of optics. Not only do we choose the best frame, we strive to match that frame with the perfect lens choice for each patient’s individual needs. Our goal is to constantly provide our customers with the most current styles and professional service. With a wide array of eyeglass lens styles, a broad selection of frames for men, women and children, and the latest in contact lenses, our East Dundee office has everything you need to maintain proper eye care. We even offer specialty frames and lenses, including those designed for reading, safety and sports. Whether it’s time for an annual exam or you’ve never seen an eye doctor before, our courteous staff is here to answer your questions and help you find the best fit for you and your eyes. Call (847) 426-3221 to schedule an appointment today.